The Thurston County Prosecuting Attorney’s Office (PAO) and The Evergreen State College Master of Public Administration (MPA) program joined forces this winter to provide first-year MPA students with hands-on project management experience relevant to the justice system. Students from Professor Amy Gould’s project management course spent the quarter working to cultivate self-awareness of personal management style through work with real-world clients. The class project culminated in late February when students presented their project management plans to clients. The highly comprehensive plans included elements such as digital deliverables, charts, benchmarks, timelines, stakeholder considerations and quality assurance model templates. 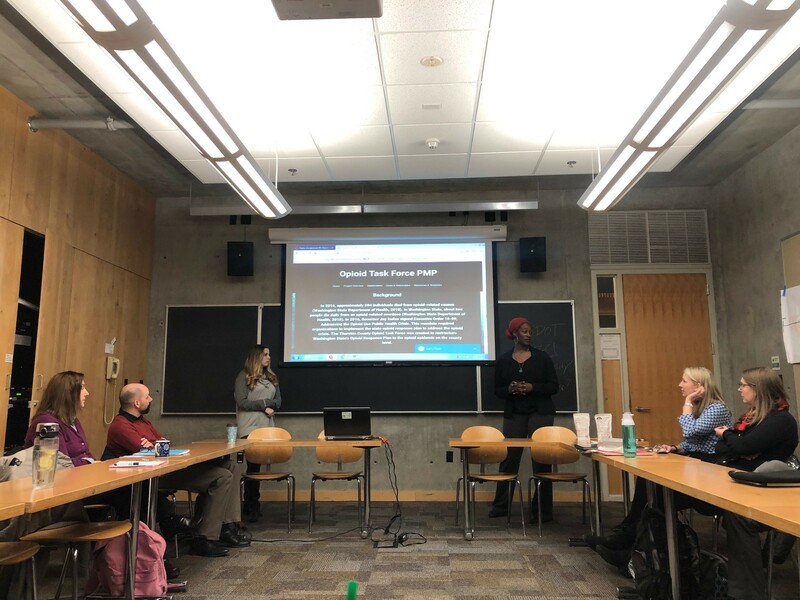 PAO staff worked closely with groups of Gould’s students to share information about issues facing the Thurston County criminal justice system such as ex-offender community reentry and the opioid epidemic response. Though the majority of the student’s time is spent in class, they also received valuable experience interacting with members of the defense, pre-trial services law enforcement, Department of Public Health and various community resource providers. “We were blown away by the quality deliverables we received from the Evergreen State College MPA students,” said Christen Peters, Thurston County Prosecuting Attorney’s Office Chief of Staff. Thurston County educators and academic institutions interested in partnering with the PAO on future projects should reach out to Community Engagement Specialist, Jessie Knudsen at 360.239.3445 or Jessie.knudsen@co.thurston.wa.us.